When you work for the federal government, you may not realize that certain laws protect you if you believe someone is discriminating against you or harassing you at work. A few of these laws are the Rehabilitation Act, Title VII of the Civil Rights Act of 1964, and the Age of Discrimination Employment Act. 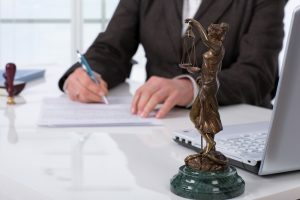 When you are a federal employee and you believe that someone is treating you unfairly, you have the right to hire a federal employee disciplinary action lawyer in DC who is familiar with federal regulations and can work to punish those who have wronged you. Each federal employee disciplinary action lawyer at The Federal Practice Group understands that your work should be a safe haven where you can conduct your daily job in peace. You should never have to go to work fearing that someone will retaliate against you or treat you unlawfully. If this has happened to you in DC, call a member of our team today. Do Federal Employees Have Workplace Rights? Yes, federal employees have the same rights that any other general worker has. However, there are a few laws in place that Congress enacted to specifically protect the rights of government employees. While laws — like the Whistleblower Protection Act — may determine clearer rights for federal employees than they do for other employees, federal workers typically have the same rights and are under the same regulations and laws as all employees are. What Are Common Examples Of Laws Protecting Federal Employees? Equal Pay Act. The Equal Pay Act ensures that employers will give both men and women equal pay for equal work they have conducted. When two people are in the same environment, performing the same tasks, and they have the same skill level, the Equal Pay Act states that their employer should pay them the same amount. While there are some exceptions to this (seniority, incentive) if you believe your employer is not paying you equally based on gender, talk with someone from our team. Americans With Disabilities Act. This act ensures that employers do not discriminate against any person with disabilities from the beginning of their application process, through interviewing, in their job evaluations, in their leave and benefits, and more. This act encompasses not just those who have a documented disability, but also those who have a perceived disability or a history of disability. For example, if someone does not have a disability but their employer believes they do because they walk with a slight limp, the ADA protects them from discrimination. Pregnancy Discrimination Act. This act ensures that employers do not discriminate based on a person who is pregnant, in the hospital giving birth, or any other medical condition related to pregnancy. For example, if an employer forces a pregnant employee to take leave while she is pregnant even if she can still perform her job duties, this is employer discrimination. The laws regarding federal employee discrimination are nuanced, and if you believe your employer has illegally discriminated against or harassed you, please do not hesitate to reach out to a federal employee disciplinary action lawyer clients recommend at The Federal Practice Group. We protect the rights of those in federal positions.